Lecture bottles have rounded ends and require some means of support when in use. We provide two types of holders here that meet most requirements. This stand offers a convenient method of securing a lecture bottle on a table or lab bench. 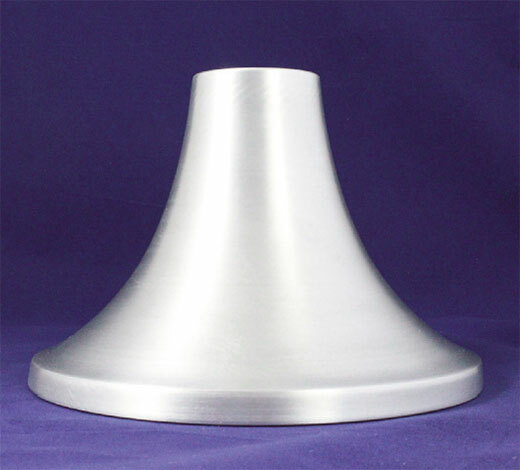 The stand is made of light weight brushed aluminum and, yet the large diameter base provides stability even when a regulator is installed on the bottle. This bracket is made of anodized aluminum and has spring clips that provide firm, secure support to the lecture bottle. The bracket is ideal for securing lecture bottles to lab cart or bench set-ups, in carrying cases for portable systems, or in storage cabinets. These valves are specifically designed for attachment to lecture bottles to dispense their contents. They do not control pressure and should only be used when the operator is in attendance.